This invention will be critical to the future of wearable tech for health applications. Zansors announced today its first utility patent for a wearable patch comprising multiple separable adhesive layers, as issued by the U.S. Patent & Trademark Office (USPTO). The patent covers a wearable patch with stackable adhesive layers as it applies to combining electronics and health monitoring. This invention will be critical to the future of wearable tech for health applications. 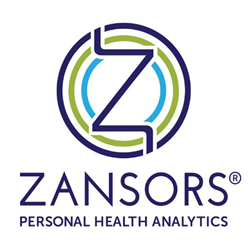 Zansors is committed to putting affordable medical-grade tools into the hands of consumers, thus responding to the demand for Personal Health Analytics, as the market moves beyond entry-level devices. The patented invention allows for peel-and-stick sensor patches comprising of hardware electronics components, durable components, integrated circuits, and disposable layers. Zansors engineering and innovation team pioneered a method to reuse hardware electronics, reduce hardware waste and increase power and storage via the use of more robustly engineered components. The utility patent will be commercialized for many applications including sleep apnea, stroke, glucose monitors, and next-generation adhesive sensors. In addition, the patent has positive implications for global health by making wearable sensors more affordable. These factors underpin the path to commercialization for Zansors’ R&D investments. The patent on this technology is critical to supporting Zansors’ goal to provide personal health analytics tech wearables that are accessible and affordable to consumers. Zansors plans to commercialize this invention, in conjunction with additional new technologies that are patent-pending. Global law firm DLA Piper’s Reston, Va. location supported patent prosecution. For more information on this patent, view the summary at https://www.google.com/patents/US20140012094. Learn more about Zansors’ technologies at http://www.zansors.com. Zansors is a Washington, DC metro-based healthcare innovation company delivering Personal Healthcare Analytics into the hands of consumers via wearable bio-sensors and health apps. Driven by our credo of “know yourself,” Zansors combines evidence-based apps, bioengineering and data analytics, allowing consumers to take charge of their health. Our proprietary biotechnology platform includes micro-sensors and micro-fluidics (also known as “lab-on-a-chip”) backed by a strong portfolio of patents filed. Zansors has previously received 6 funding awards by NIH and has formal partnerships with the University of Michigan and George Washington University.